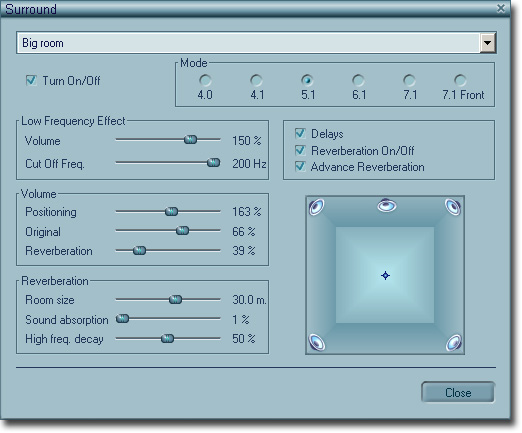 Is your collection of digital music a kaleidoscope of different formats, all of which have seen their 15 minutes of fame? Want to bring some consistency and uniformity to your library? 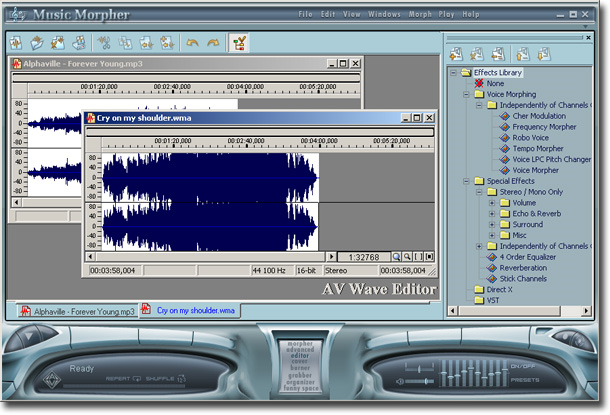 Well, look no further than today’s discount software promotion, AV Music Morpher! 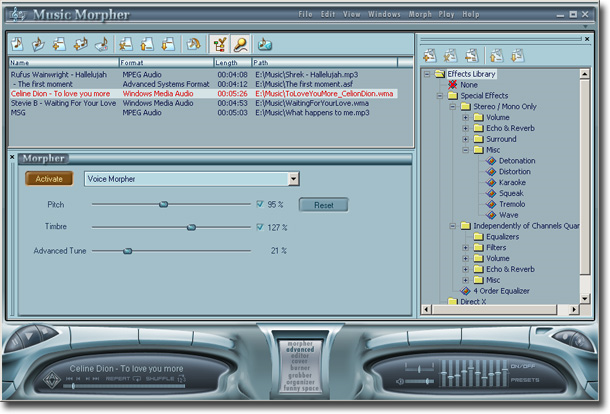 AV Music Morpher is a multi-format audio converter that lets you easily convert files between multiple formats. 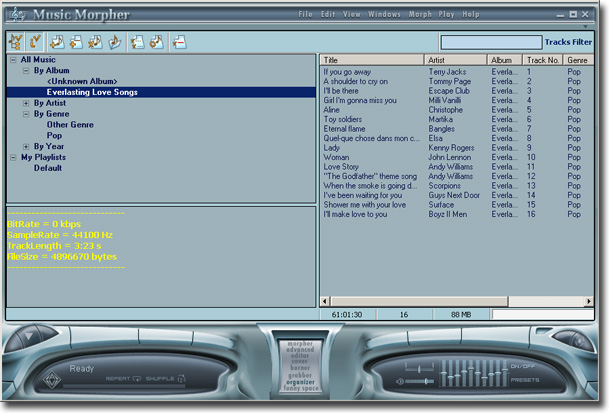 With AV Music Morpher, you’ll be able to migrate your collection between MP3, WAV, WMA, OGG, APE, AIF, IRC, NIST, and many others. Still working with optical media? You’re in luck! 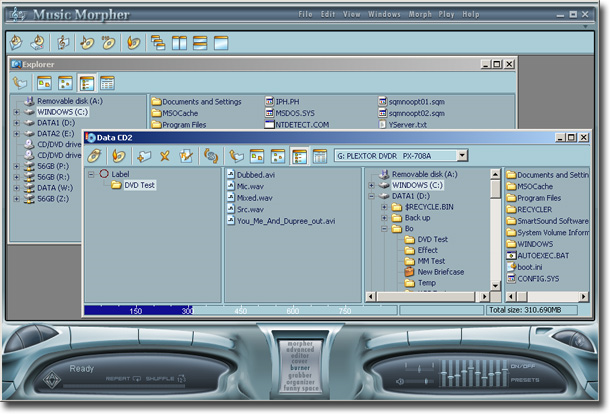 AV Music Morpher lets you rip audio CDs straight to your hard drive in your choice of file format. Need to go the other way? 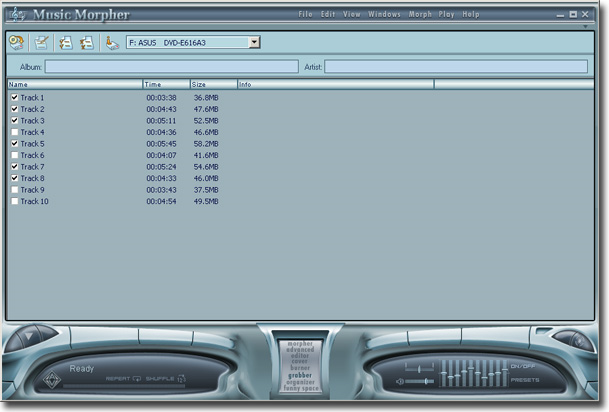 Use AV Music Morpher to create DVDs and CDs filled with audio files from your hard drive. Finally, an integrate digital audio recorder lets you create your own original audio files from a multitude of sources, including microphones, CDs, audio files, and streaming audio! After you purchase AV Music Morpher it may be used indefinitely. 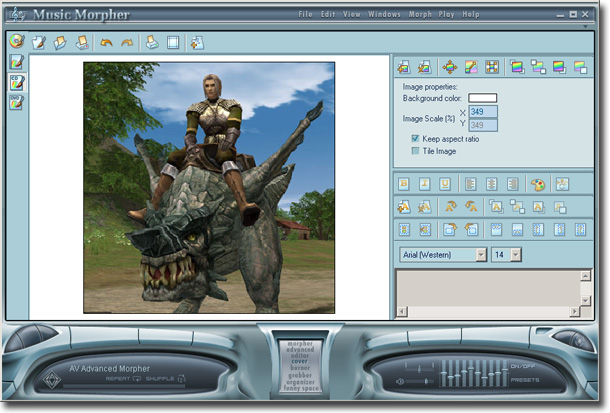 AV Music Morpher is licensed per computer, and not per user.